Torques sensors are transducers which convert torsional mechanical inputs into electrical output signals. There are two different types of torque sensors, these are used to measure different types of force. Rotary or angular force is measured using Dynamic Torque Sensors and force through a distance is measured using Static Torque Sensors. There are two types of dynamic torques sensors; rotary torques sensors and non-contacting torque sensors. Rotary Torques Sensors are commonly used in applications on rotating shafts. 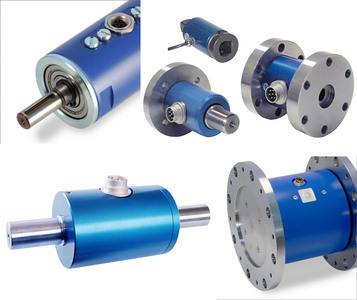 Non-contacting torque sensors use magnetic or inductive technology to provide accurate measurements at high rotational speeds; they offer long maintenance free operation as they do not use wearing parts such as slip rings. Static torque sensors are well suited to industrial applications and fatigue testing. They offer long term reliability as they have non-moving parts. Static Torque sensors are used in applications where angular motion is limited and in-line torque measurements are required. Measuring the torque applied to vehicle control elements. Ixthus can offer both types of torque sensors. Take a look at our range of Torque Sensors here.